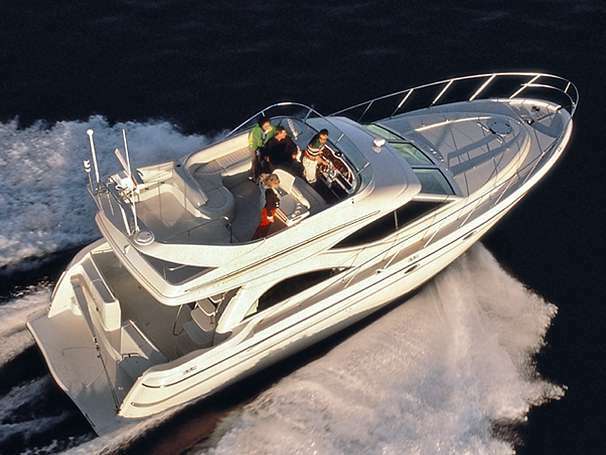 A very attractive European styled sport cruiser, rides on a solid fiberglass modified V-hull. 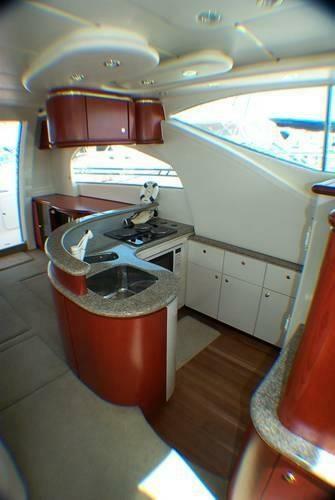 She has a two stateroom layout with the galley up, a step down from the salon level with an elevated dinette to starboard. 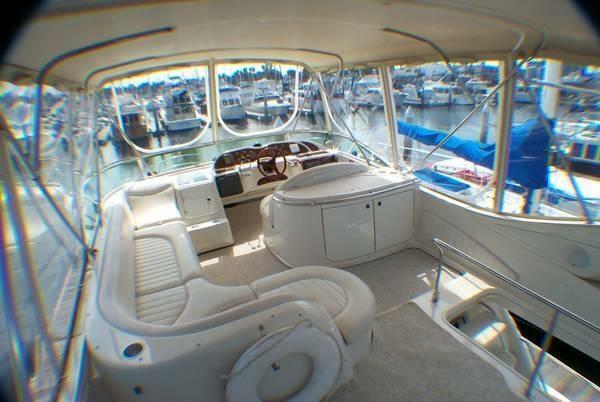 The light airy salon has a large wrap-around full view conversation seating area that converts to a berth to starboard. Custom cherry wood table. 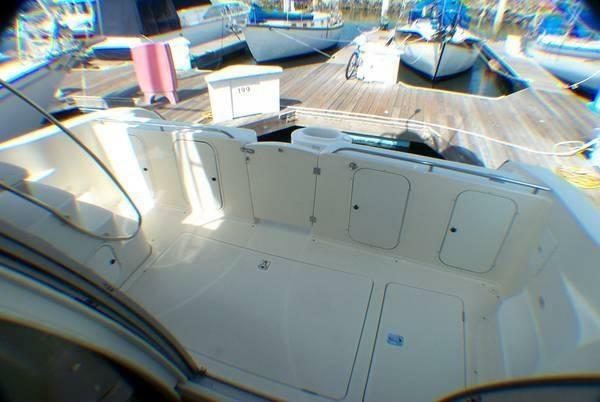 Opposite and to port is a built-in entertainment center complete with color TV, VCR and CD player stereo system and storage lockers. 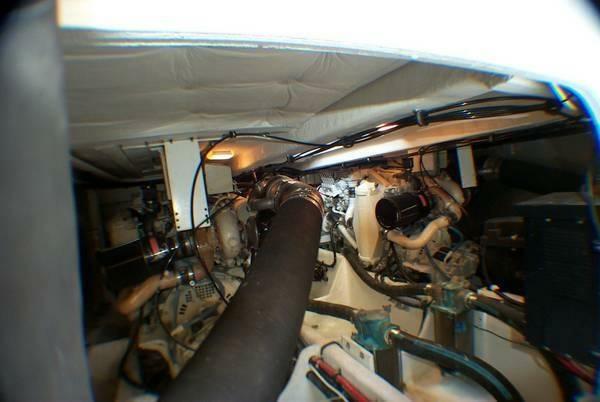 Both head compartments are fitted with separate stall showers. Cherry paneling and trim applied throughout the stylish interior. On deck, the cockpit is shaded by the overhang, cockpit has a complete canvas/eisenglass enclosure. 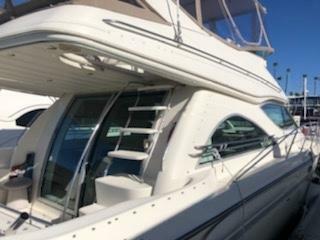 A curved ladder leads up to the flybridge with ample guest seating and wet bar aft of the helm, as well as a large open area to aft that is covered by the extended flybridge canvas and eisenglass. 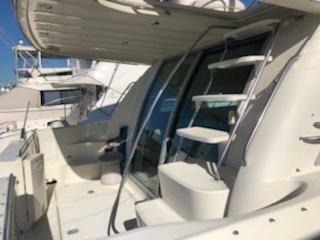 The foredeck features removable sunlounge with drink holders. 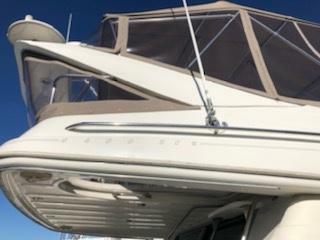 Radar arch with recessed lighting and two speakers, spacious command bridge with L-shaped seating for six plus and entertainment center/wet bar and ice maker and adjustable double-wide helm seat. 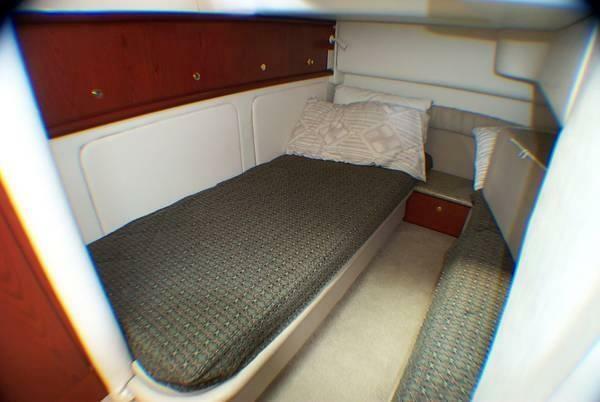 Forward stateroom has a queen-size double bed. 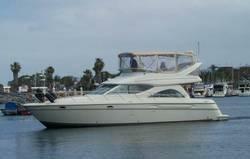 Mid stateroom provides single size berths or large double. Two separate enclosed heads with separate stall showers and vanity sinks. 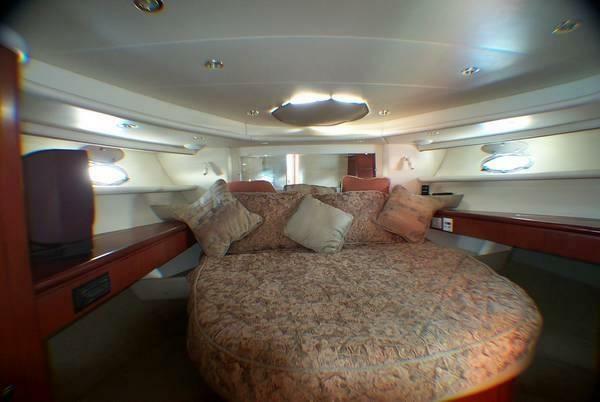 The extended flybridge canvas makes for a large entertainment area. Custom bait tank and swim step locker. Factory overseen modification of transom, to prevent water from entering into transom locker. Now with four storage lockers accessed from inside the cockpit. Performance-style wheel and dash panel with ergonomically positioned instrumentation for 360 degree visibility.